This piece, part of the 1898 sale of the Charles Dana collection, was described in the auction catalogue as "invested with a rich yellow and pale claire de lune glaze, permeated by a double crackle in violet and brown." Freer circled the entry and noted, "Most perfect." The reference to claire de lune suggests that Freer and his contemporaries regarded this as an example of Jun ware, which was produced in Henan province of China from the Song dynasty through the fifteenth century. 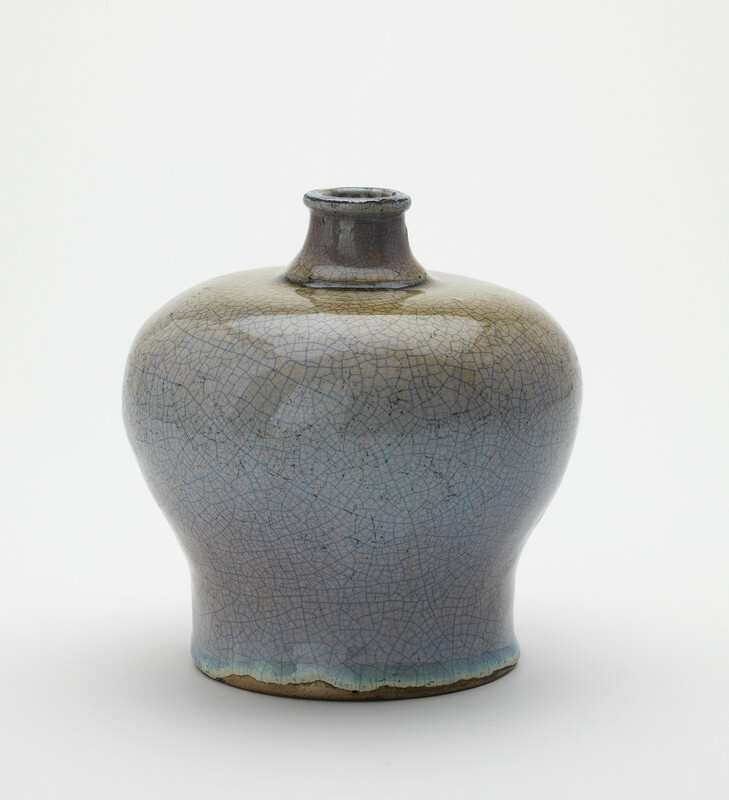 Jun ware is characterized by its distinctive glazes, which range from greenish-blue to lavender and lavender-blue with violet splashes or marks. This bottle is actually a later example of a Jun-style glaze. In the Peacock Room, which Freer called "the blue room," this bottle was one of more than forty Jun or similarly blue-glazed ceramics displayed along the south wall, just beneath Whistler's allegorical mural of two battling peacocks. "Bottle," in The Peacock Room, Freer Gallery of Art, Smithsonian Institution, Accession No. F1898.46, Item #3205, http://www.peacockroom.wayne.edu/items/show/3205 (accessed April 19, 2019).